SUMMARY: This story, which is part of a much larger project about life in the circus, focuses on the Gentile family. Orlene and Carlo Gentile are college graduates (she also has a master's in Science) who chose the circus lifestyle. They perform with the Zoppe' Family Circus and spend almost 10 months a year on the road with their two small children, Gianluca and Giulia, traveling across the Country. 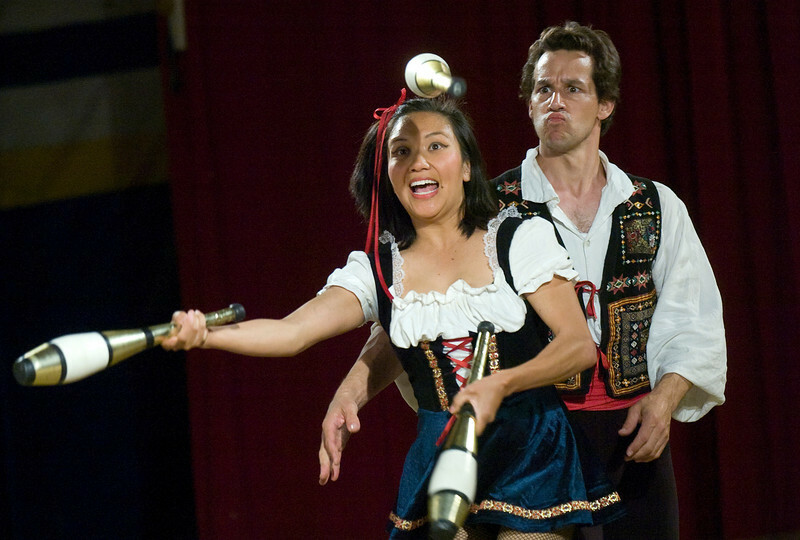 In this picture, Orlene and Carlo Gentile perform one of their juggling acts in Decatur, Ala. Saturday, April 25, 2009.